Boost the reach of your Wi-Fi network with the Hiro Repeater Range Extender. This device has two internal antennas to provide network across walls ceilings and floors. It is compatible with any existing 802.11B/G/N wireless routers. It operates using the 2.4GHz frequency band and can provide connectivity in a wider area. Get speeds of up to 300Mbps to surf the web or conduct a variety of network related tasks. It also has an RJ-45 port to create fast and reliable connections with all your compatible devices. 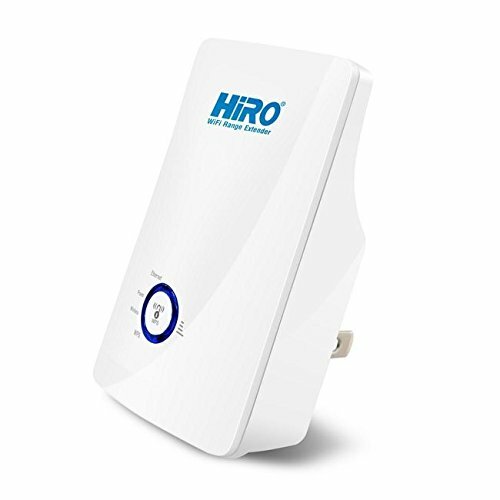 Buy the Hiro Repeater Range Extender today.